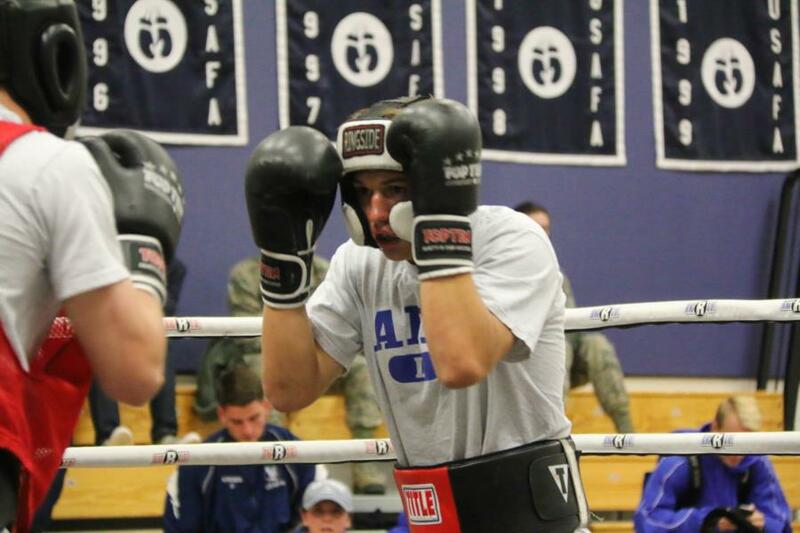 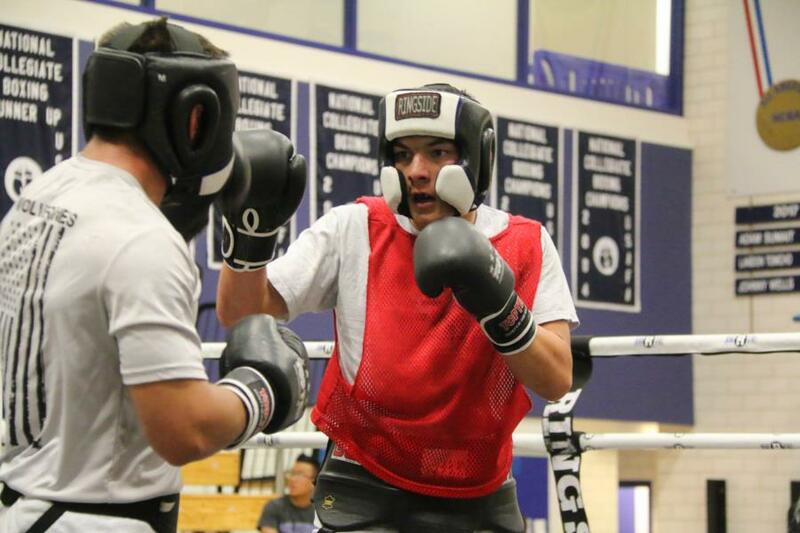 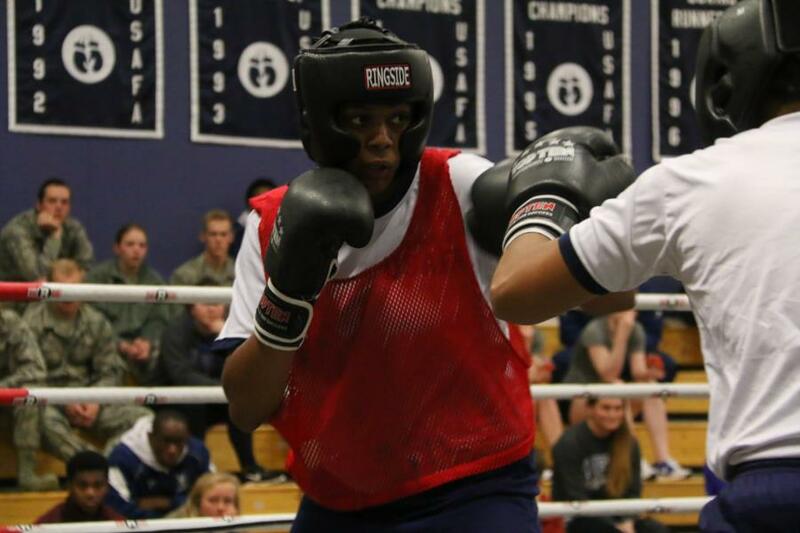 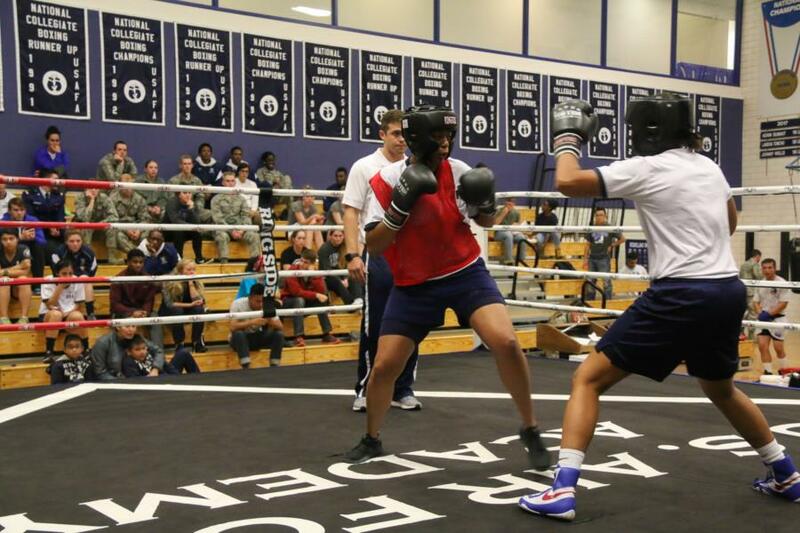 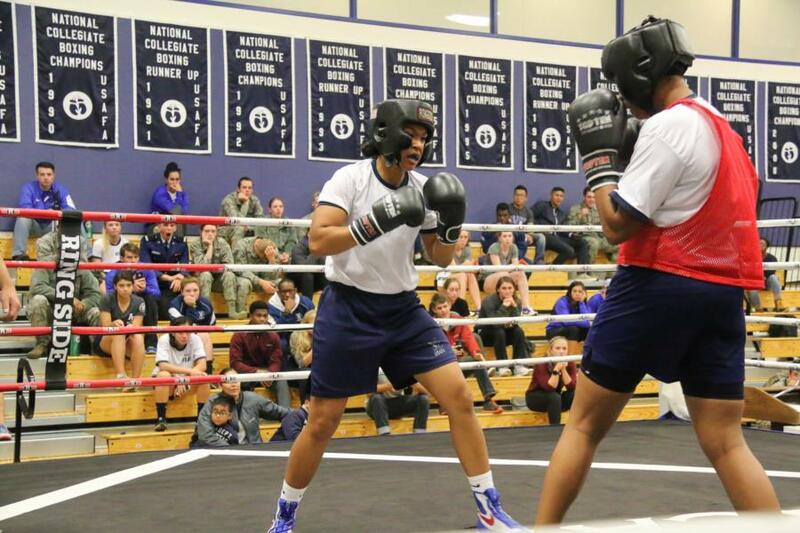 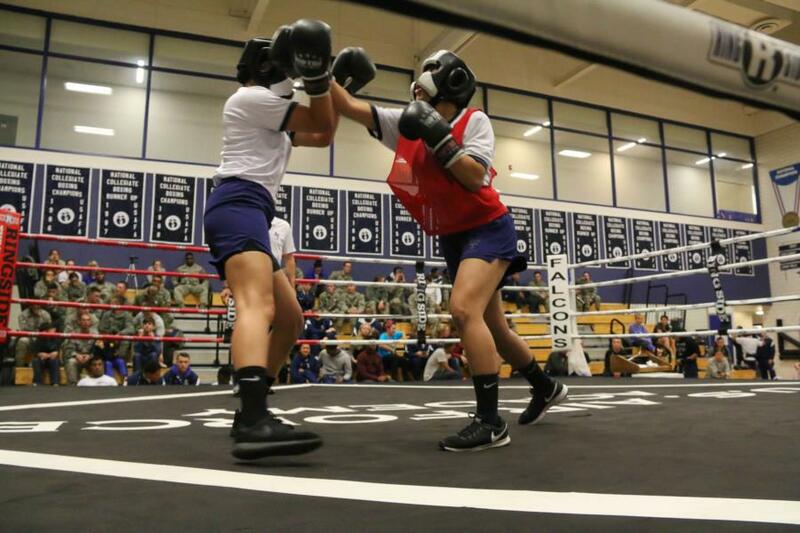 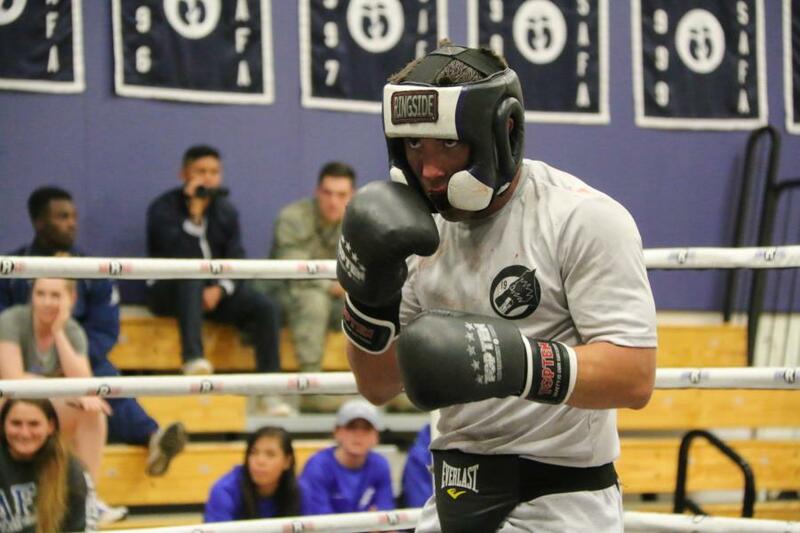 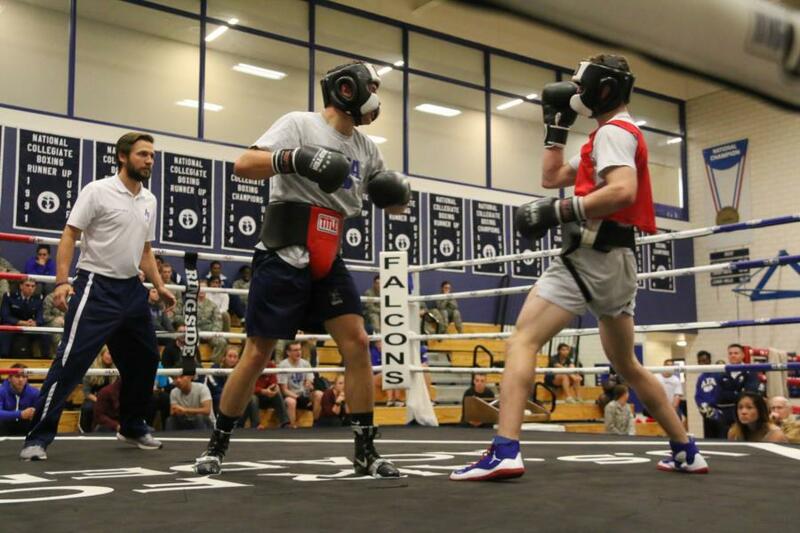 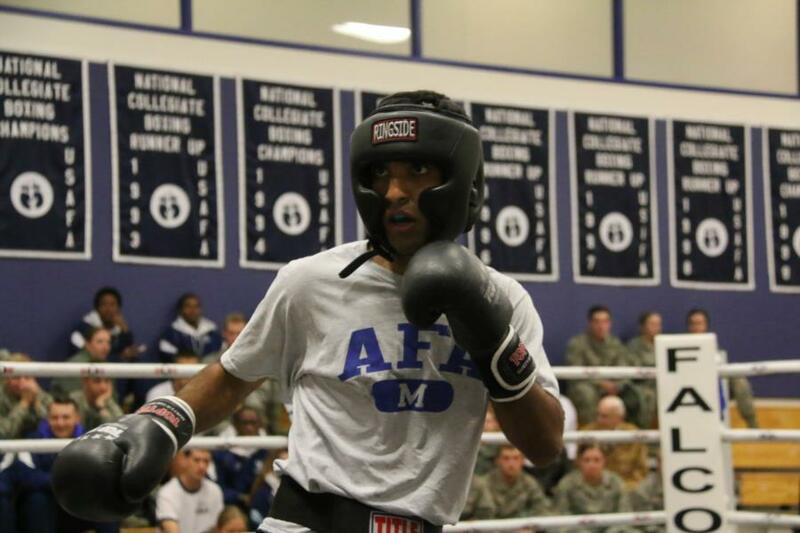 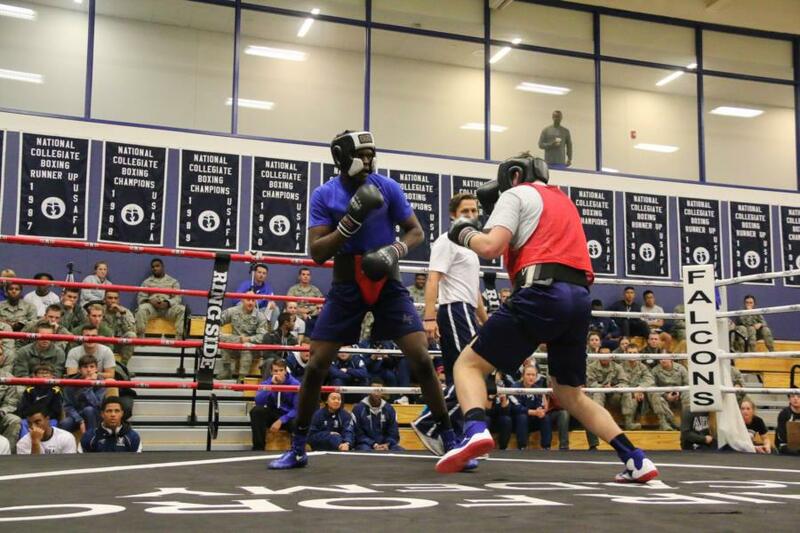 This past Friday the Academy had it's first Friday Night Fight of the Academic year, each month Cadets on the Men's and Women's Boxing Teams will match up against each other. 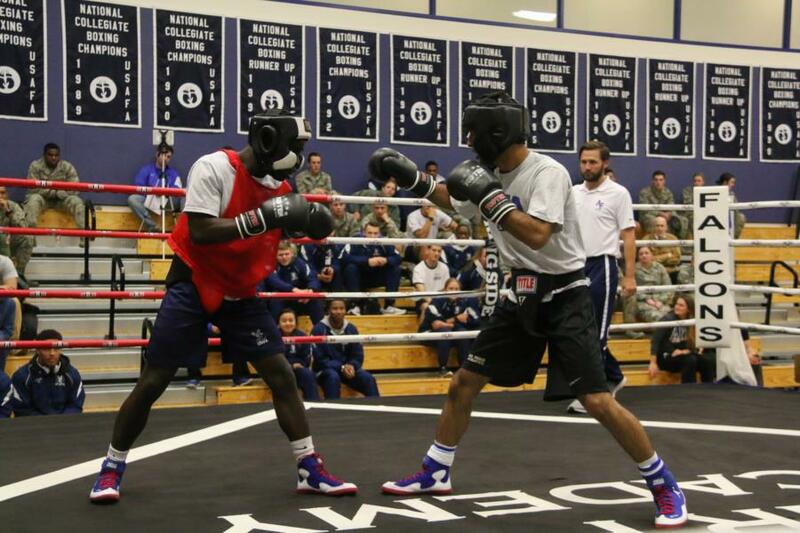 There were a total of 7 Bouts between the Red and Blue Team. 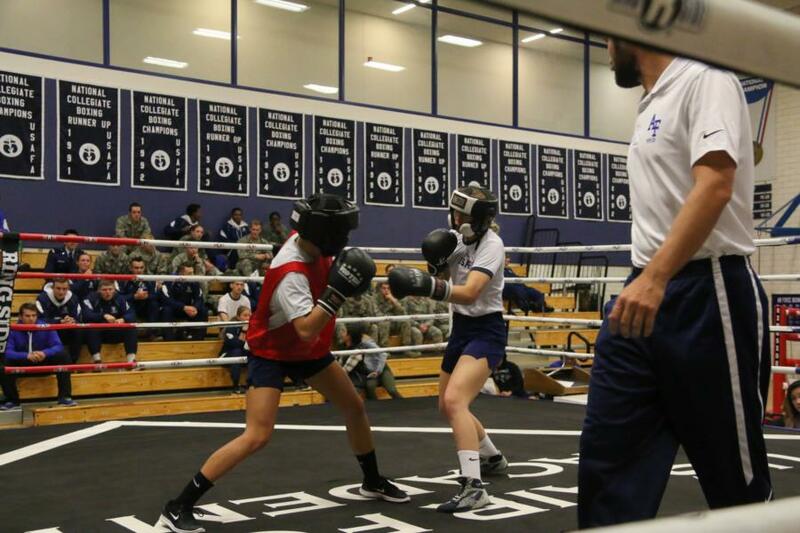 Bout 1: In the Red Corner Laura Drapinski and in the Blue Corner Lois Taylor. 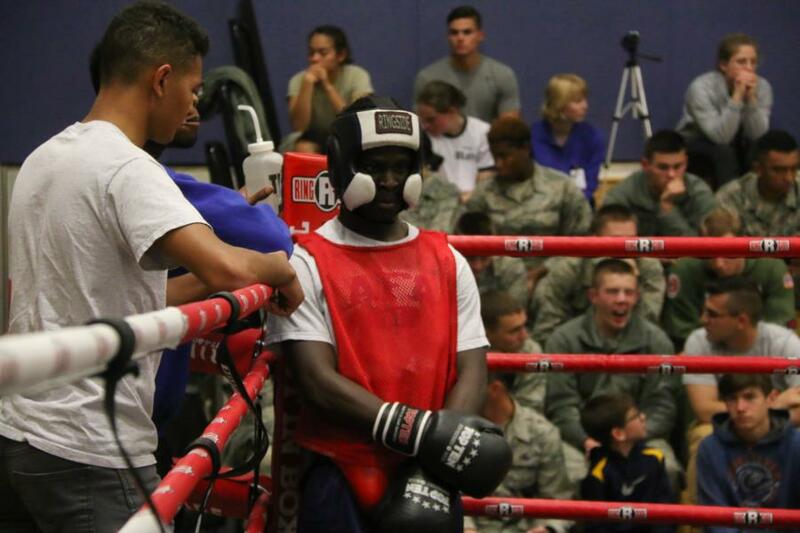 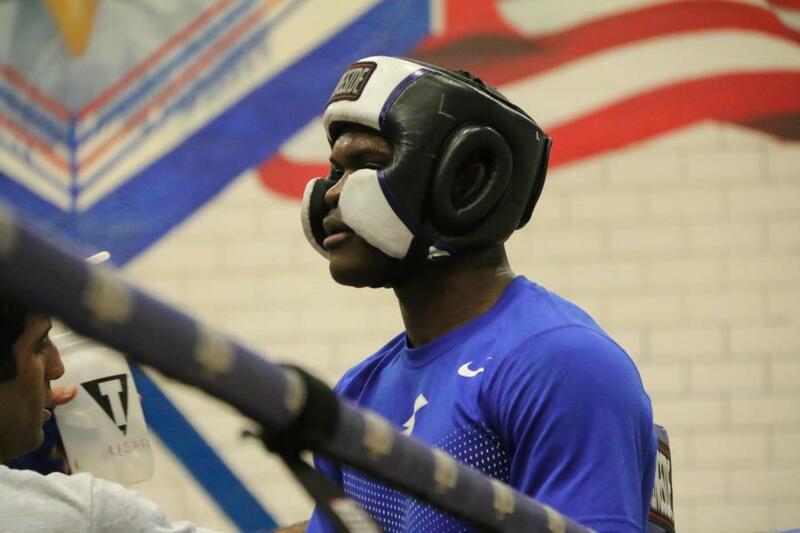 Bout 2: In the Red Corner Ife Onigbanjo and in the Blue Corner Osama Farqaleet. 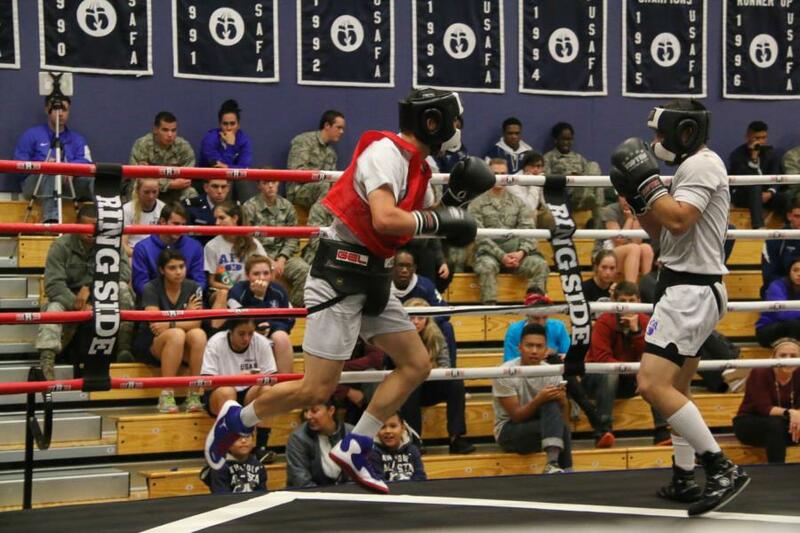 Bout 3: In the Red Corner Nick Pingel and in the Blue Corner Den Tati-Mackaya. 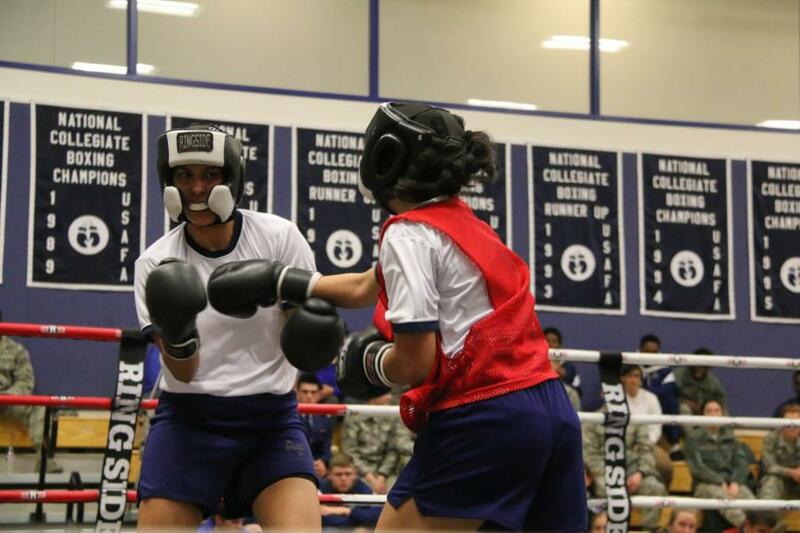 Bout 4: In the Red Corner Tessa Barbosa and in the Blue Corner Alicia Alexander. 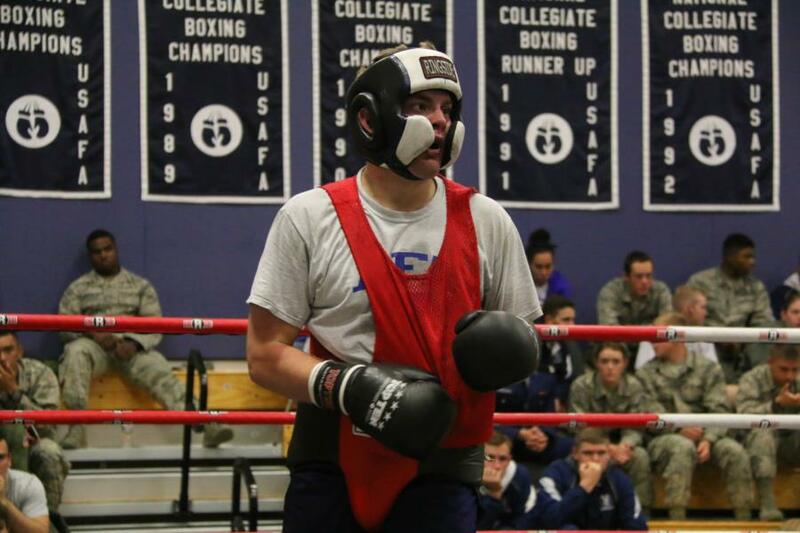 Bout 5: In the Red Corner Levi Rate and in the Blue Corner Jeromy Jorgenson. 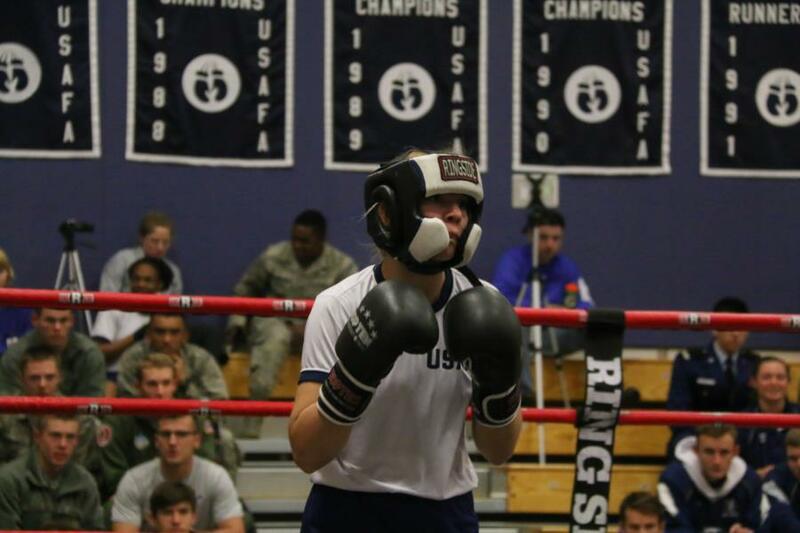 Bout 6: In the Red Corner Josh Turner and in the Blue Corner Dillon Willis. 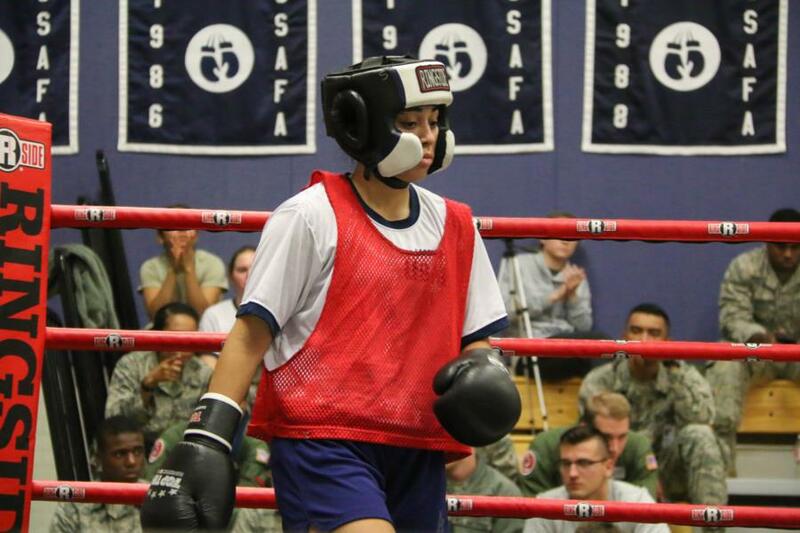 Bout 6: In the Red Corner Victoria Rodriquez and in the Blue Corner Monica Mammah. 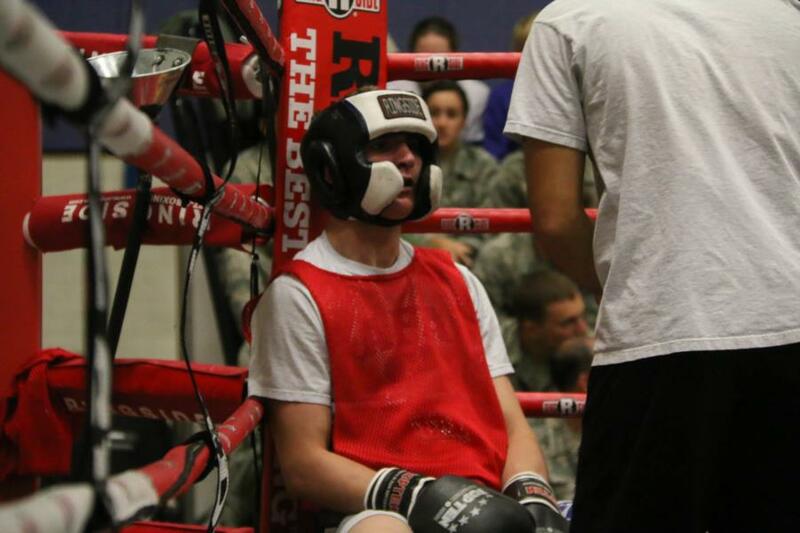 Bout # Red Corner Sq. 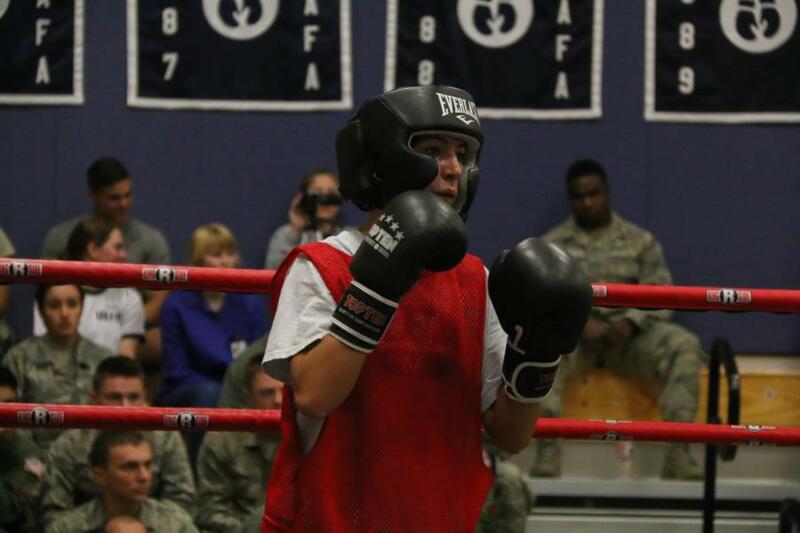 Weight Blue Corner Sq.